Kalamazoo Valley Habitat for Humanity is a tithe partner to Hábitat para la Humanidad Nicaragua. Nicaragua is the second poorest country in Latin America. Our tithe partnership began over 25 years ago. To date, Kalamazoo Valley Habitat for Humanity’s support has helped build 103 homes in Nicaragua. We have tithed more than $330,000 from our unrestricted funds to help Habitat families in developing countries realize the dream of homeownership. Our tithe relationship with Habitat Nicaragua is part of our covenant with Habitat for Humanity International. This partnership helps us remember that we are part of a global movement with a vision: A world where everyone has a decent place to live. Habitat for Humanity Nicaragua advocates and works to defend the right to adequate housing and the improvement of communities, inspired by the teachings of Jesus Christ and in collaboration with the communities themselves, putting special emphasis on sectors of greatest need. 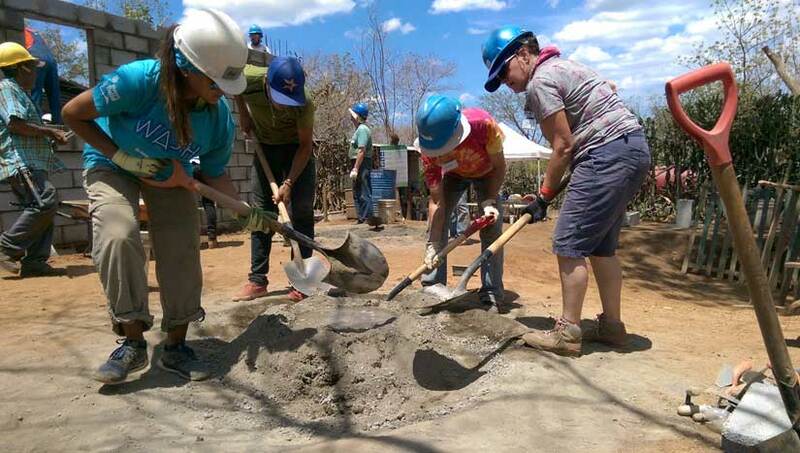 A team of Kalamazoo Valley Habitat volunteers travels to Nicaragua annually on a Habitat for Humanity International Global Village Trip. The team builds a home in five days in partnership with a Nicaraguan family. To learn more, contact Executive Director Charlie Robertson, (269) 344-2443, ext. 212 or crobertson@habitatkalamazoo.org or visit our Global Village page.